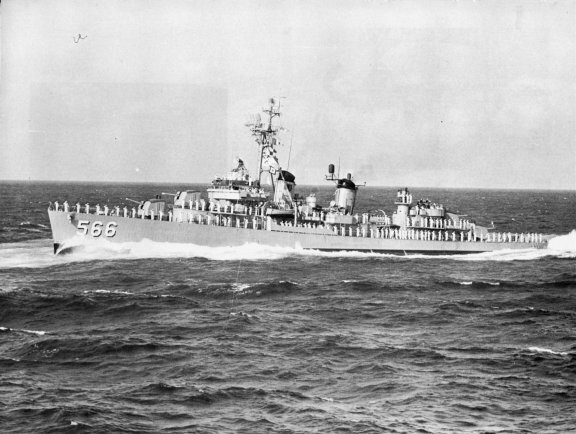 The Technical section of this web site has been set aside to highlight the physical and engineering attributes of the Fletcher Class Destroyer and specifically the USS Stoddard. Take the time to read the Fletcher Class magazine article, noted to the right. It says: "Long and lean, powerful and fast, they performed a variety of roles not only in World War II, but during later combat service off the coasts of Korea and Vietnam." Since it is impossible to visit the Stoddard, I have substituted a Virtual Tour of the USS The Sullivans that I made in 2000. This is a visual reminder of what things were like on the STODDARD. Now you can visit the layout of the Stoddard in you mind by reviewing these ships drawings of the USS Trathen, DD-530. Remember, these drawings are photocopies of a photocopy of a drawing set. The copies were provided by Bob Hoag. which might be of interest because the “Nick” was the first-launched of the Fletcher class. Living Conditions - for those of who have not experienced life on board a Navy ship. Our goal is to acquire as much technical data as possible. This could be in the form of drawings, pictures, video, or system manuals.